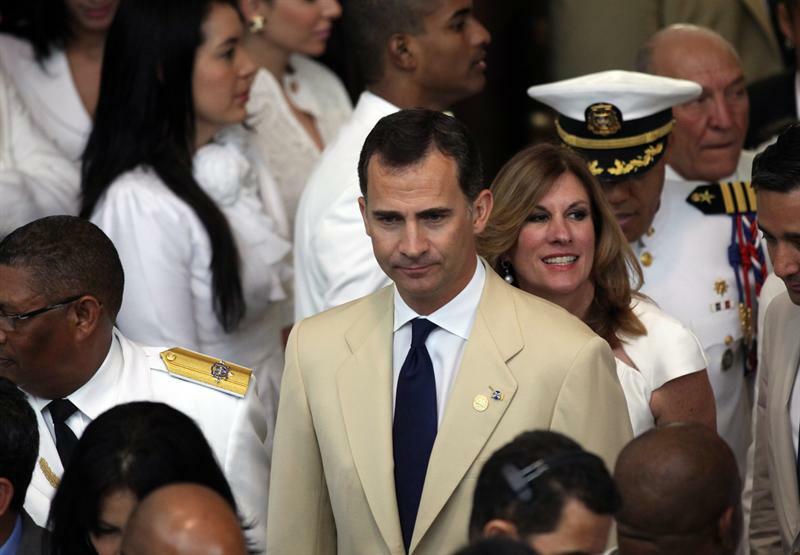 Prince Felipe was in the Dominican Republic this week for the swearing-in of new Dominican President Danilo Medina. 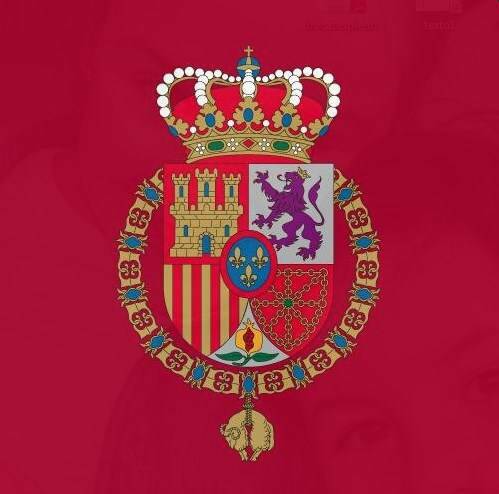 Prince Felipe has been representing the Kingdom at such ceremonies at Ibero-American countries since 1996. It’s a means of getting officials, particularly throughout Latin America, used to the future Spanish King. 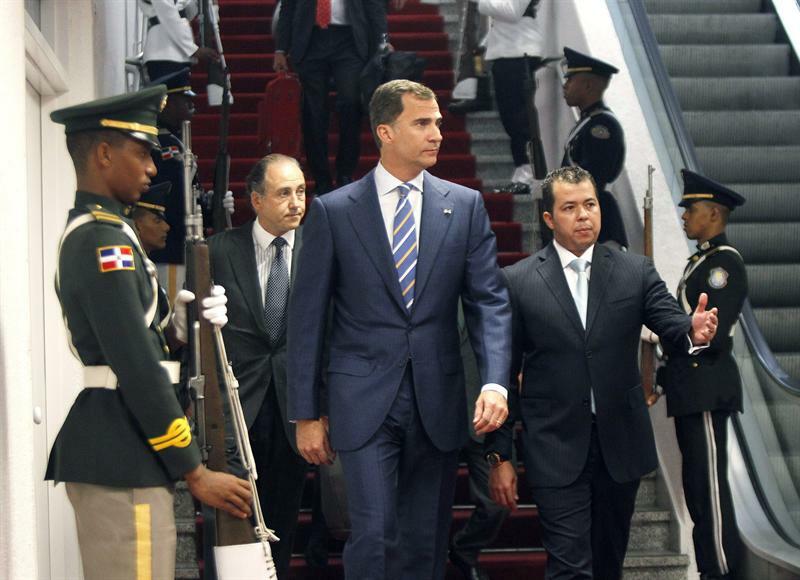 During his visit, Prince Felipe also met with outgoing President Leonel Fernández, who was in Madrid earlier this year. Earlier this week, Prime Minister Mariano Rajoy met King Juan Carlos at Marivent Palace, where members of the Royal Family are vacationing. 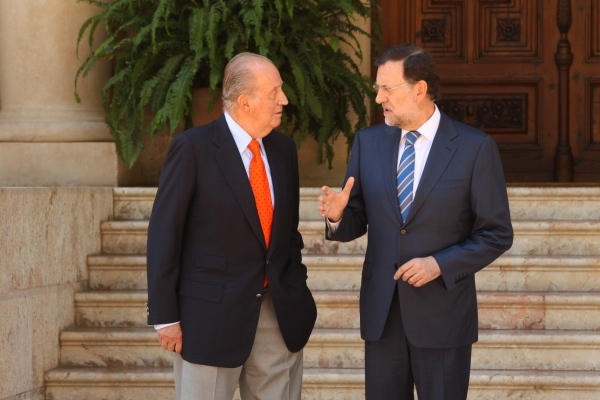 King Juan Carlos and Prime Minister Rajoy meeting at Marivent Palace. Posted on August 17, 2012 by talkingwithamericansPosted in UncategorizedTagged Danilo Medina, Dominican Republic, King Juan Carlos, Marivent Palace, Prince Felipe.